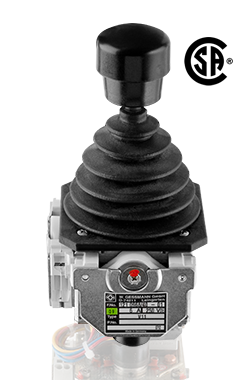 The multi-axis controller V11 is a robust switching device for crane and hoisting applications. The V11 is resistant to oil, maritime conditions e.g. offshore / vessels, UV radiation typically from the sun.